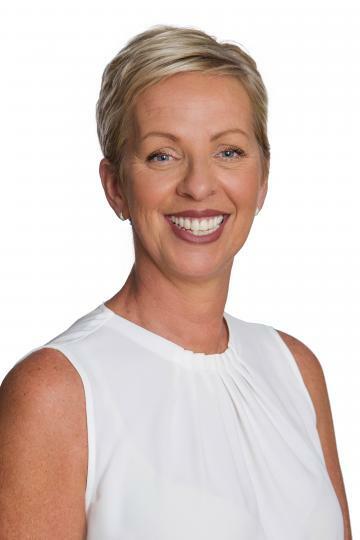 Anita Hamilton is a seasoned authority on all aspects of property management, having amassed over 14 years experience in the industry. Conscientious, efficient and hard working, she maintains a genuine enthusiasm for helping people and still ‘loves a challenge.’ The WBRE team, landlords and tenants respect Anita’s knowledge and appreciate her fun and happy personality. Anita’s goal is to maintain lasting and harmonious working relationships and believes in open and honest communication. Do not miss out on this 2 bedroom x 1 bathroom furnished home in walking distance to shops and restaurants and public transport. Modern home with following features; * system reverse cycle air conditioning. * Well equipped kitchen with heaps of cupboard space. * Stainless steel Appliances. * Dishwasher. * Tiled living area. * Separate Laundry. * Outdoor area. Sorry no pets allowed. WE DO NOT ACCEPT ONLINE APPLICATIONS. This well-appointed home will surprise you with spacious open plan living and relaxed details creating a home you will love to live in. Equipped with zoned reverse cycle air-conditioning, smart wired with network and TV points throughout and a Clispsal C-BUS dimmable lighting system. Designed with four spacious bedrooms. The master has a walk through robe, an en-suite featuring a huge double shower, double vanity and separate toilet. All other bedrooms include built in robes. This beautiful 3 bedroom, 2 bathroom home is located minutes from everything you need, cafes, shopping centre, schools, public transport. Modern kitchen with stainless appliances, dishwasher, gas cooking, double door pantry, loads of cupboard space, overlooking open plan family/meals area and rear yard. Wood laminate flooring, down lights throughout. Home theatre room with double doors to first level. Split system reverse cycle air conditioning throughout. Alarm system, security doors. Be quick to view! Very conveniently located 2 bedroom, 1 bathroom apartment is a must see! Situated in a secure complex which is centrally located close to the Victoria Park Cafe Strip. Spacious kitchen, dining and lounge area with reverse cycle air-conditioner. The bathroom/Laundry has a clothes dryer supplied. Easy apartment to maintain, lots of natural light and a balcony as a bonus! Secure undercover parking. NO ONLINE APPLICATIONS WILL BE ACCEPTED! Unique modern 2 Storey 3 bedroom x 2 bathroom quality home in complex of 8. Quality finishes throughout, well equipped kitchen with modern appliances, dishwasher and plenty of cupboard space.Gas Cooking, Large fridge recess space. Reverse Cycle split system air conditioners in each room for warm summer months and chilly winter evenings. Open plan living area with quality Bamboo vinyl flooring leading upstairs to large main bedroom with large walk in wardrobe and ensuite. Solid double brick & tile 3 Bed x 1 Bath Unfurnished House. Inside you'll find a large living room that flows through to the meals area and a good size kitchen. Plus this home also features an amazing games room, entertaining family and friends will be a real breeze here! Complete with three good size bedrooms and main bathroom with bath and separate shower. AVAILABLE NOW. Pets will be considered. Please email for viewings rentals@wb-re.com.au or call the office 089455 6588. Large spacious freshly painted family home in close proximity to Catholic Primary school. This home has it all, 4 double size bedrooms, Activity area, Theatre Room with french doors, Formal dining and formal lounge area, large family room, Large kitchen with heaps of cupboard space and dishwasher, Ducted Reverse Cycle Air conditioner that is zoned. Alfresco area with TV on wall. Features include; * Double lock up garage. * Gas top cooking. * Walk in robe to main bedroom. * Cubby House. Large Home with heaps of extras in Promenades Estate. This classy and stylish home is situated opposite the lake in The Promenades Estate surrounded by quality homes and close to schools, transport and The Livingston Shopping Centre. Plenty of room in this large 4 bedroom x 2 bathroom home plus study, Lounge room, Dining room, Family room, Activity area, Main kitchen with heaps of cupboard space + extra butlers kitchen. Pets are negotiable. Move into this lovely family home walking distance to Livingston Marketplace. (more photos coming soon) Open plan living areas with central kitchen with gas cook top, electric oven and dishwasher. Main bedroom, en-suite and walk in robe are downstairs, 3 double sized bedrooms are upstairs. Main bathroom has separate shower and bath (upstairs). Floor boards throughout the living areas, including the stairs for easy cleaning, and into the theatre room. Ducted evaporative air conditioning.